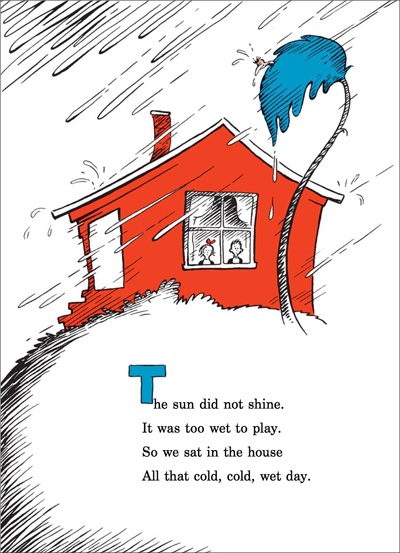 Certainly rain is no fun, we all miss the sun, but especially then when you’re not far from ten. Yes, as a kid you related, but the story never got dated. 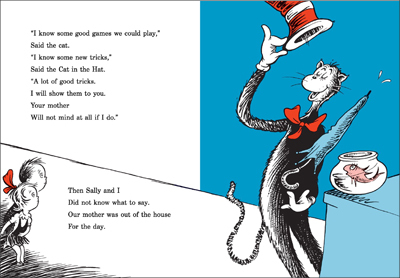 It’s simple as that, who doesn’t like The Cat in the Hat? 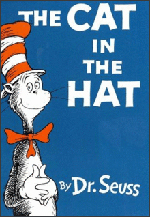 But to me, at least as far as I can see, there is certainly something sinister about this cat with the big red hat. Could it be that dogs were more for me? And this particular cat with the dubious red hat wasn’t even an ordinary cat at that. He seemed much more like a devious rat. He was a creature prone to acts of criminal intent to which creating anarchy he seemed most hellbent. For starters, this louse breaks into a house, scary enough, but worse when considering it is a house in which two young children have no way of being defended since, rather disturbingly, they have been left oddly unattended. 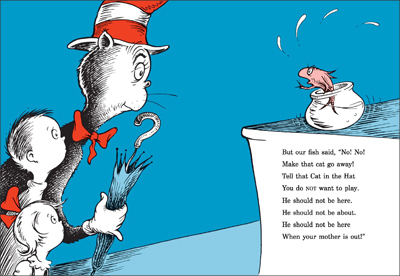 That is, unless you think a fish in a bowl is equipped to play some kind of parental role. It is a story not meant to scare, yet it doesn’t stop there. 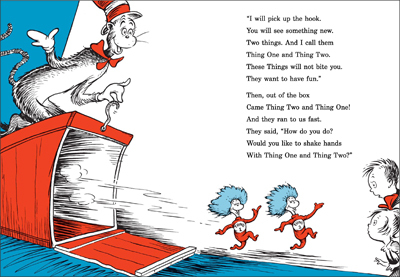 For the cat in the hat (who decides it’s okay for children to play while mom is away) opens a box in which he reveals not one but two creatures with hair of blue: Thing One and Thing Two. I don’t know about you but this tale seemed creepy through and through. But when the book ends what really transcends is not feelings of fear that you hold most dear. It is wonder and glee and quite often a plea. Again, again, you ask Mom or Dad, and if they agree, you are certainly glad. And maybe one day on the bookcase that you scan, you will stumble across the book where it all began.